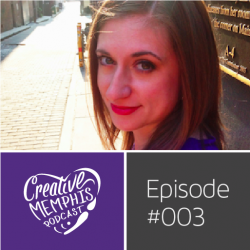 Holly Whitfield came on to the show to talk Memphis, blogging, her creative history, and as an added bonus this also happened to be the inaugural launch day of Creative Memphis Podcast so we talk podcast shop a bit as well. I Love Memphis Blog [operated by Memphis Convention and Visitors Bureau] has done so much for our city. It’s a space where Memphians and tourists can go check out what’s ahead for the weekend, restaurant buzz, social media photos from locals, contests that benefit various local non-profits, interviews with prominent Memphians, and of course where to get brunch in Memphis on a lazy Sunday. They also have their own podcast! So to entertain you on your Memorial Day weekend while bouncing from event to event, tune in to hear a couple of podcasters talk Memphis and then digress, a lot. 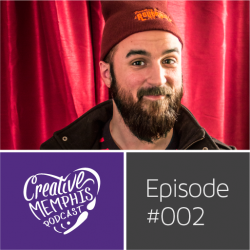 Joey Miller came on the podcast and we talked photography, don’t do free work, famous photographers, Malcolm Gladwell, beards, bacon, & Memphis. Tune in and learn about freelance photography, how to keep progressing in your work, and how equipment does and does not affect photographic skill.